Over the recent years, there has been an increased global concern regarding environmental protection and climate change. This has raised attention to various environmental issues such as recycling, waste separation and appropriate disposal of wastes. This article highlights a personal experience regarding the problem of solid waste handling and disposal in the city of Mumbai, India. Mumbai is one of the biggest cities in India comprising an inner city named Navi Mumbai (Navi meaning new) where I grew up, and other places such as Chembur, Bandra and more. This article highlights some alarming issues in Navi Mumbai and Chembur regarding solid wastes. Mumbai is facing issues regarding solid waste management. The wastes do not get segregated which may come as a surprise, but it is a fact. If household wastes are separated, they may get mixed up at some stage of waste handling. Being an environmentalist, I felt helpless when I noticed local street cleaners in Navi Mumbai, burning wastes during the recent past. The cleaners sweep the streets daily and gather the wastes in corners in piles at the end of their cleaning session. Following which, they burn the pile of wastes perhaps without having any knowledge of the consequences. Such instances were witnessed by me in several locations in and around Navi Mumbai. Each time I saw the wastes being burnt, I felt an urge of getting out there and spreading awareness to those people who were burning them. Whenever I mentioned of taking actions, I was stopped due to various reasons. This could be because the people burning wastes probably did not get an opportunity to get educated and were probably completely unaware of the hazards they were inviting upon themselves and the community. Moreover, they could be associated with political groups and may not be pleased by any interference. 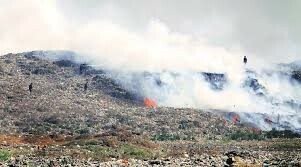 Also, there have been some instances in Chembur over the recent past where a garbage dumping ground caught fire. It was not clear in any of these incidents whether these fires were accidents or deliberate attempts. As per my personal observations, the fumes seemed quite toxic with a strange odour. There were huge headlines in the local papers and some people were affected with respiratory problems. These burning episodes added to the existing smog levels, thereby elevating the air pollution levels in the areas affected. Many people were reported to get affected by the pollution levels and suffer from respiratory ailments. 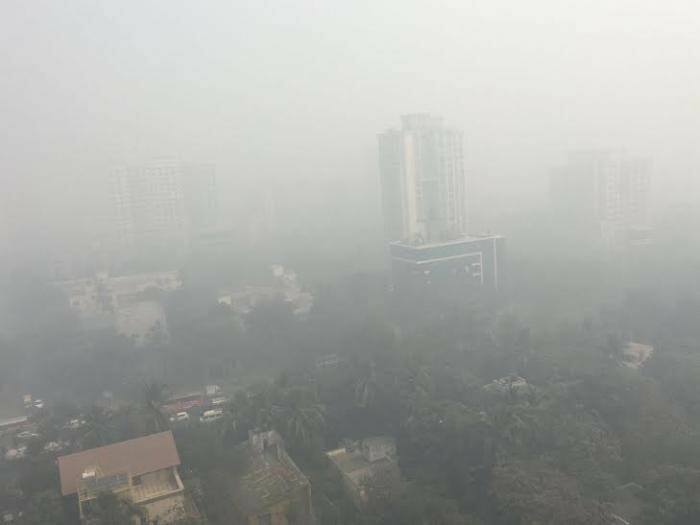 The residents of Mumbai and Navi Mumbai were warned of this incident and were informed to avoid morning walks because the pollution levels were maximum then. Also, schools located nearby were shut for a few days. Some educational institutions also tried to put a halt to this problem at Chembur dumping ground. However, with repeated burning incidents at Chembur dumping ground the government has decided to implement strict actions. It is my hope to spread this message across more people so as to spread more awareness and gain more support to stop this massive issue. Thanks for the piece! I felt very similar when I was in Kathmandu and saw the non-existent waste management. I also had the urge to “correct” people but held back, at the time it felt cowardly but looking back I’m glad now. I’m glad as it would have been unfair to the people who have to live through this on a regular basis and are just trying to continue as best they can. The longer I stayed in Nepal I found the people have a respect and appreciation for nature in particular their incredible bird diversity. The people living in Kathmandu much like Mumbai I imagine have been just terribly let down by their leaders and educators. The urge you had to get out and spread awareness is excellent must be done in the correct channels and must be funded correctly by city leaders. Again thanks for highlighting such a important issue Antara and lets hope educators and politicians refuse to ignore it any longer and help the people who elected them get the living standards and clean environment they were promised and deserve.